Exercise parameters in your Physitrack library are set to the minimum by default. 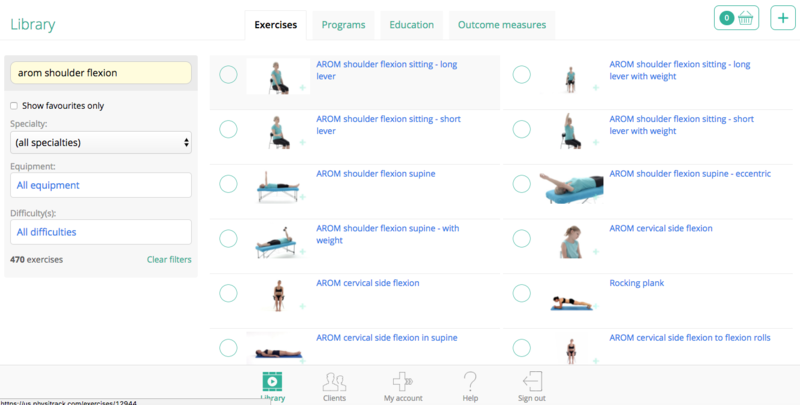 Clinicians vary significantly on their standardised exercise dosage so we allow you to chose the default parameters for your exercises. 1. 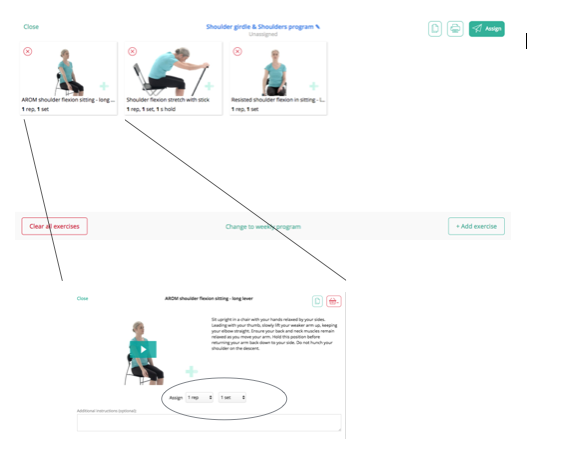 Updating at library level (changing dosage here applies these levels to the selected exercise every time this exercise is prescribed). 2. Updating at program editor level (changes here will apply to the exercise only in this specific program). Click on the exercise to open up the preview window. Set the reps, sets and other parameters to whatever you would like to use as your defaults whenever you prescribe this exercise. Changes save automatically. Add additional instructions. Click "Save changes" to apply these instructions. These updates will now apply to this exercise every time you assign it to a patient hereafter. 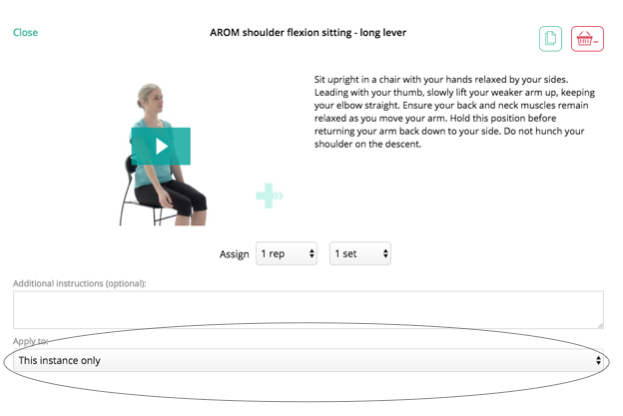 In the daily program editor window, click an exercise and update the exercise parameters. Insert additional instructions if required. All changes here save automatically. N. B. Updating dosage for an individual exercise here applies these changes to only this program. If you have selected a weekly program, the functions are the same for updating parameters as in a daily program. However you have the additional function to select where these parameters apply in the drop-down at the bottom of the preview window. This instance only applies the dosage changes to this exercise for the one occasion you have selected. All instances from this point forward applies the dosage changes to this exercise for the occasion you have selected, and all other occasions this exercise appears in the current program from this day onwards. 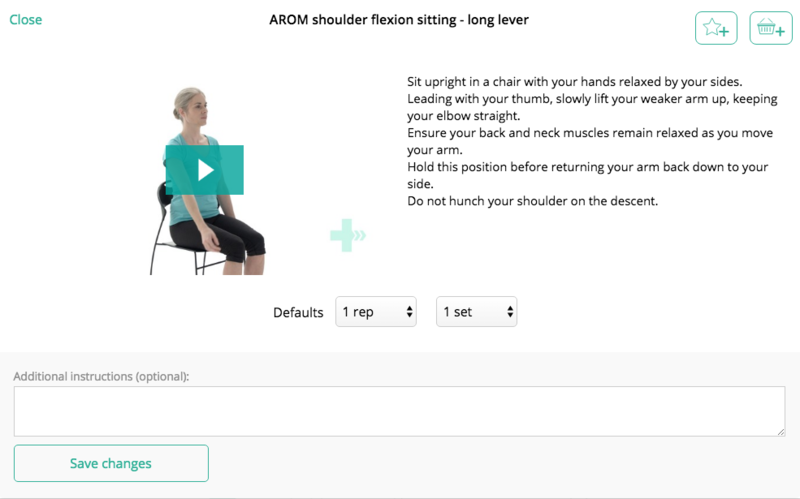 All instances in this program applies the dosage changes to this selected exercise, and any other time this exercise appears in the current program.